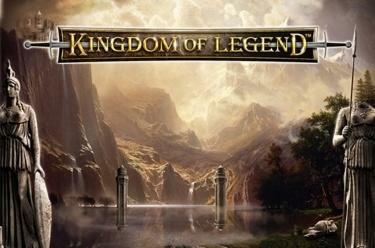 Play Kingdom of Legend™ online for free now! A slot to look for Twists, find them, drive them to your account and bind them forever! Sharpen your elven sword, don you silver armor and prepare for an epic reel battle because your task in Kingdom of Legend™is to defeat wild hords of Orcs and gain large Twist treasures that have been piling up over the years. To be victorious in Kingdom of Legend™ line up 5 matching symbols along one of the up to 40 win lines that run from left to right across the reels. 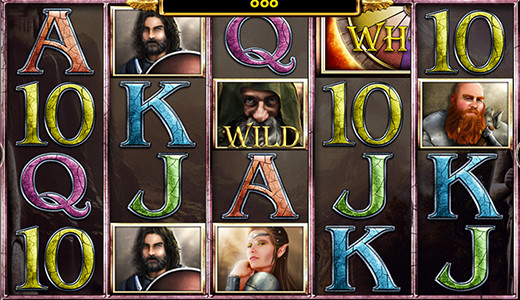 The WILD symbol helps you in your adventure because it substitutes all symbols except for the bonus wheel of fortune - and increases your winning chances! If no winning combo lands following a spin an Orc can appear. He either grants you 500 times your bet or triggers the wheel of fortune. If two matching halves of a bonus wheel of fortune appear on reel 1 and 2 or 4 and 5 directly next to each other the wheel of fortune feature is triggered. Spin the wheel of fortune to get bonuses: either a 30 times multiplier of your bet, up to 10 free games or a spin with the super bonus wheel of fortune. The super bonus wheel of fortune can get you up to a 1000 times your bet and every spins wins! As soon as the bonus wheel of fortune lands on "Collect" the features ends. You can win up to 10 free games with the bonus wheel of fortune with the settings of the basic game. During the free games WILD symbols can turn adjacent symbols into Wilds!